We’d love your help. Let us know what’s wrong with this preview of A Face in the Crowd by Adriana Peck. Roland Biggs was the biggest thing in music--thirty years ago, to be precise. And he's experiencing the worst slump he's ever had at the end of a pretty prolonged career death. His agent offers him one last chance to get his career back up and running at the Old & New Tour, and he reluctantly accepts the offer. Jane Parker is about to change the DJ scene forever. She's bouncing from club to club, putting literary rerences galore in her music and jumps at the chance to perform at the Old & New Tour. Together Roland and Jane must work past their musical differences and see what they truly mean to one another. Strong language and mature themes. NO CHEATING, SAFE, HEA STORY! 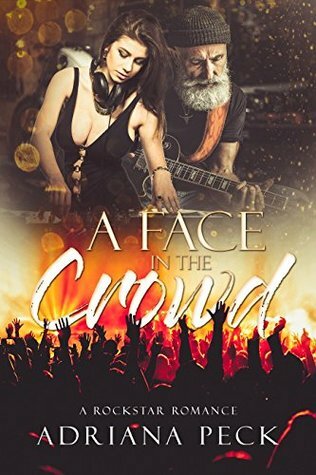 To ask other readers questions about A Face in the Crowd, please sign up.